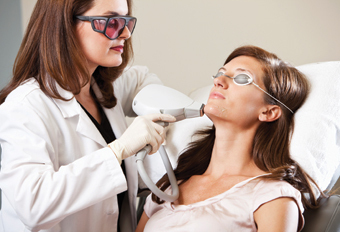 The Ellipse is a second generation intense pulsed light used primarily for the treatment of the “sun spots” on the face, neck, chest, and hands. It can safely be used for any area on the body that has sun damage. One to two treatments are usually recommended for complete removal of these dark spots. Areas with extensive sun damage may require more treatments. It also improves mild redness on the face from sun damage or rosacea. Most patients report only mild discomfort that can usually be treated with an over the counter medication such as Tylenol. There are specific instructions you will need to follow before and after a FRAXEL treatment. These important tips and information will be discussed with you at your free consultation prior to your procedure. To schedule a consultation or treatment please call GlowMD Laser MedSpa at (540)-371-9098. Also known as skin needling, this minimally invasive procedure involves the use of a device that contains small, fine needles, which puncture the skin. These tiny puncture wounds create a “trigger” effect for the production of collagen, which fills these wounds essentially creating an improvement on the skin’s surface. 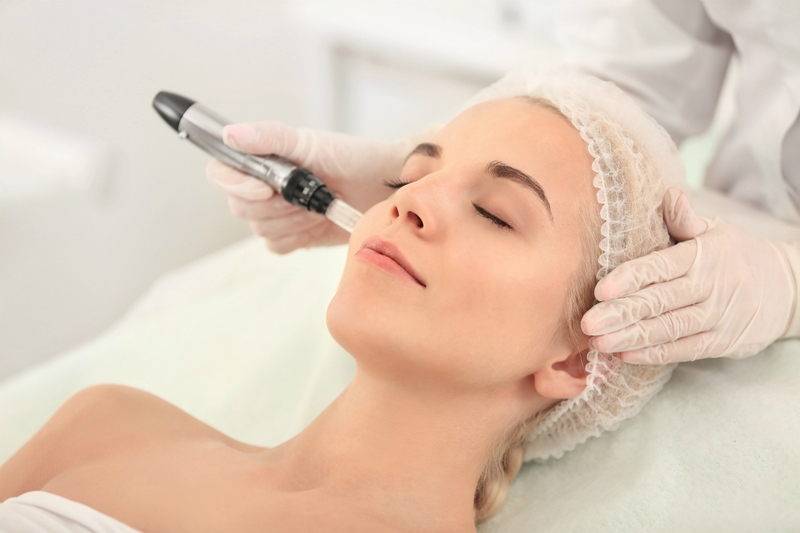 Microneedling is used to improve skin texture, tone, and firmness, as well as reduce the size of pores, pigmentation, and other irregularities.